Entrepreneurial vision and creativity are increasingly seen as key characteristics of a successful economy; characteristics promoted by politicians and ones to which young people increasingly aspire. Entrepreneurial activity is often seen as the solution to periods of economic recession and an attribute that can enhance the competitiveness of a country in the global economy. In order to be successful, entrepreneurs need access to appropriate information on which to base their judgments. Appropriate information limits unnecessary risks. It informs entrepreneurs on what innovations may be required in the future, and allows them to test the extent to which any ideas they have are truly original. Yet how can entrepreneurs obtain the most appropriate information? To what extent can they identify the sectors that provide the greatest opportunities for entrepreneurship? Much focus is placed on consumer surveys and pilot product testing but these often require up-front investment and speculative long-term forecasting that may not be accurate. Historical precedents can provide an important additional source of information for prospective entrepreneurs. Entrepreneurship is often considered to be a recent phenomenon, associated with the rapid growth in the numbers of small firms in the 1980s. However its origins lie as far back as the medieval period. Monarchs, monks and merchants all exhibited the characteristics of risk, innovation and judgement. Their activities are recorded in company records, the archives of national and local government and the personal correspondence and diaries of merchants. Key successful entrepreneurial endeavours can be identified from these historical precedents. Property speculation was a popular form of entrepreneurial activity across a range of groups in different periods and locations. Monks in medieval Gloucester, England, derived income from housing, and also invested in the construction of inns! Their love for money was actually criticised by the contemporary chronicler Gerald of Wales. In rural France, meanwhile, monastic orders focused on creating property portfolios that enabled them to gain resources from agriculture, raw materials and tolls on transport as well as rents on property. When we move to the modern period we can see similar entrepreneurial patterns. In nineteenth-century California Henry Huntington shaped the expansion of Los Angeles through his complementary investments in infrastructure businesses, including railways, power generation and distribution and property. Huntington took the initiative to build electric railways in unsettled areas, and used that to encourage settlement, rather than building the settlement first and waiting for the transport infrastructure to follow. As a result people were more inclined to buy his property, as they did not need to worry about transport links falling through. Investment in infrastructure in general was a concern that could unite entrepreneurs and the wider community. 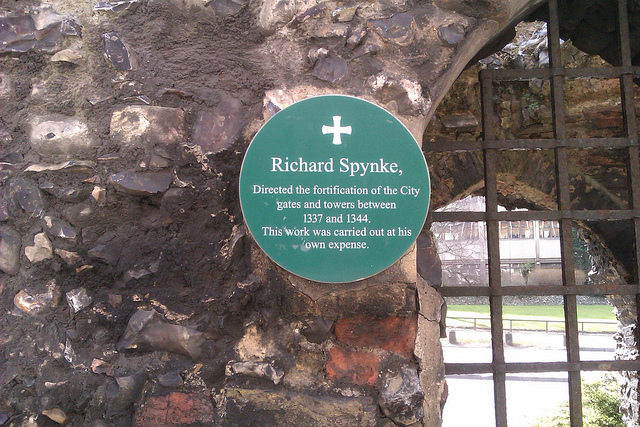 Richard Spynk was a fourteenth-century Norfolk cloth trader who used the profits from his business to improve the city walls of Norwich, England. Walls served a defensive purpose but also channelled trade through specific entry points, facilitating the collection of tolls from visiting traders. Many citizens, however, were reluctant to contribute to their construction or upkeep. Spynk agreed to provide a shortfall of £100 in the repair and construction budget. Initially this was to be via a loan but he then proposed changing it to a donation in return for exemption from all future taxes and tolls. This reciprocal arrangement had benefits for Spynk but also represented a significant philanthropic action. 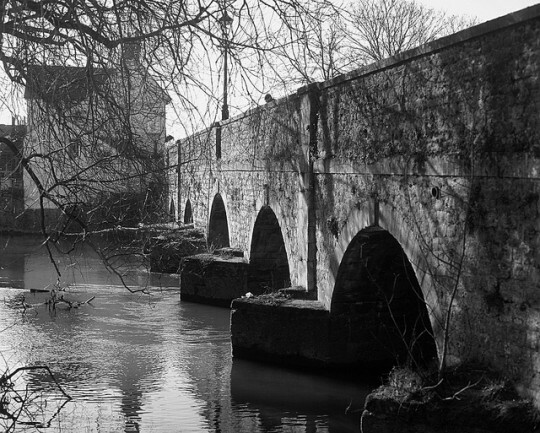 Collective action by many entrepreneurs helped the citizens of fifteenth-century Abingdon to re-route trade through their town during a period of general economic decline. Abingdon is on the river Thames near to Oxford in the south-east of England. However the absence of a bridge, and the need to cross the river by an expensive and dangerous ferry, meant that traffic going to Gloucester usually bypassed Abingdon. A local merchant, Geoffrey Barbour, organised other merchants to provide the capital and materials to construct a bridge and causeway. It was the subject of so much local pride that 40 years later a local ironmonger produced a poem recording the construction of the bridge which was put on public display in a civic building. Corporate responsibility is a concern of entrepreneurs today, and again information on successful or unsuccessful practices can be derived from historical case-studies. William Norris, the founder of Control Data Corporation, was one of the earliest pioneers of corporate responsibility but presents a cautionary tale as to how entrepreneurs need to exercise judgement in this area. Norris recognised in the 1960s and 1970s that schools offered an important new market for computers and diverted increasing amounts of time and energy into developing this potential new market. Over time the philanthropic educational elements of the programme began to dominate the agenda and CDC lost its focus on the need to actually sell products. It failed to recognise the increasing importance of personal computers and eventually the company was broken up into smaller parts. Other firms, however, exercised corporate social responsibility in different ways. 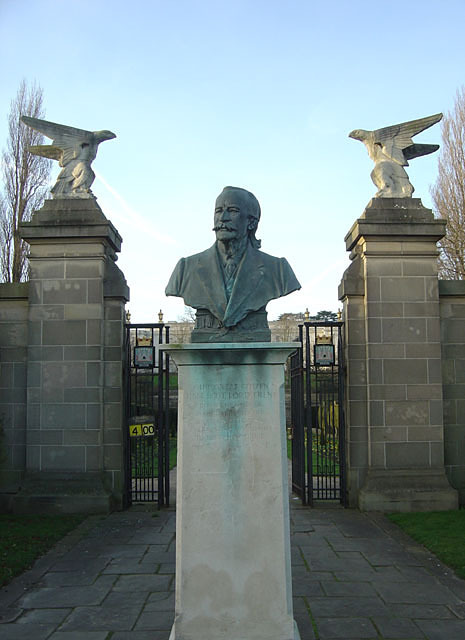 Jesse Boot, the founder of the British chemist chain Boots, was partly motivated in his business activities by a desire to provide cheaper, effective medicines for the less affluent members of society at a time when many chemists colluded in price-setting and sold poor quality products. Examining the history of entrepreneurship can therefore provide today’s generation of entrepreneurs with some of the information that they need to assess risk and innovations. It can help them to make more informed judgements that may benefit society as a whole. Dr Catherine Casson is a member of the Department of Management, Birmingham Business School, University of Birmingham. She researches the history of entrepreneurship, the property market in the medieval and modern period and reputation and economic performance: the competitive strategies of English medieval towns. Her publications include Casson, M. and Casson, C. (eds.) (2013), History Of Entrepreneurship: Innovation And Risk-Taking, 1200–2000, Cheltenham, Edward Elgar and Casson, M. and Casson, C. (2013), The Entrepreneur in History: From Medieval Merchant to Modern Business Leader, Basingstoke, Palgrave Macmillan. We are offering a 35% discount on this book until the end of December when purchased through our website. Once the book is in your shopping basket, enter the code ENTP35 in the special discount code box after you have entered your delivery details. ← Take a step forward: it’s Global Entrepreneurship Week!